The ultimate skill-based customizable runner! With over 10,000unique gear and skill combinations, discover your ultimate insanecombo.Inspired by the off-beat style of classic spaghetti westerns,journey into the mad (and colorful) world of Pazzo. Pazzo is anot-so-notorious bandit that has been left eating dust as the othermembers of the "Nine Spades" gang have taken off with his share ofthe loot. Now he must chase them down as they continue theirbackstabbing ways. Pazzo has one advantage though... he iscompletely insane - giving him awesome powers to beat the loomingchallenges and catch those dastardly bandits.Give Pazzo an extraedge by equipping him with gear from the huge range available, eachwith their own unique benefits:- Hats (colorful millinery itemswith awesome benefits, but watch out that they don't fall off),-Charms (mystical items that give Pazzo the edge that he needs),-Parchments (super powerful items that give you awesome benefits fora single run).Encounter nefarious hazards that each require aunique tactic to overcome: wild coyotes, deranged vultures, angrybulls, thunderous boulders, diabolical cacti and heaps more.Levelup Pazzo by making it through the mayhem of his "madness modes",allowing you to unlock Perks that will give you an edge to survivethe canyon longer and catch more of those underhandedbandits.Original Music by award-winning composer Heath Brown, withtracks inspired by classic spaghetti western scores of the greatEnnio Morricone.Heaps of achievements and leaderboards so you canprove your mad skills to the world, along with Twitter and Facebookposting. !IMPORTANT: This is not a standalone game, itrequires the Viking Horde: Papercraft kits to function.The Viking Horde: Papercraft kits can be acquired here:https://www.awshub.com/shop/shop.php?item=VH001The Viking Horde:Papercraft Helper App, including dice rollerand augmented reality Wind indicator. Mad Memory is a 3D physics memory matching game. The uniquegameplay combines classic memory skills with the puzzle solvingcunning and fun of fully three dimensional physics with uniqueskills and power-ups, featuring two distinct game modes.MadnessMode, where you race against the clock to match all the pairsbefore the timer runs out. Each round the allocated time reduces,challenge yourself to last as many rounds as you can handle.BanditMode, allows you to play the game in an "stress-free" un-timedmode. Take as long a you want to get all the pairs matched. "Headout west where a few more dollars is all that stands between youand the unpleasant fate of all bandits." BEST TIME KILLER BRAIN TRANING PUZZLE GAME Brain Physics is BallLine Physics Puzzle game. Where you use crayon physics color pencelto draw anything you can imagine to solve tons of physics puzzlequiz and dozens of brain exercise. It's contain endless runsolution, you can do by your way to escape the stage level. Ourbrain game style, you don’t need smart but thinking is need. Let’sdraw something with physics free game. HOW TO PLAY BRAIN PHYSICSPUZZLE? - Draw line or dot by use crayon physics pencil. - Solvethe puzzle like connect two dots, make ball touch something, dropthe ball …etc… - Brainstorm , solve challenge, You got this?Awsome! - You must connect two balls to each other. GAME FEATURES ●BEST TIME KILLING: Play anytime, anywhere. ● REALISTIC PHYSICS:Accurate and realistic physics design on 2d environment ● ADDICTIVEGAME : Over thousand player have been defeat all game levels, Didyou? ● GREAT VARIETY OF LEVELS: Play dozens of different quiz andmind puzzles. ● HINTS: Use hint to solve the quiz anytime you stuckon our dots game. ● PLAY FOR FREE: Game frees for every one, youdon't need to pay any cost to play our awsome game. FREE SMART GAMECHALLENGE - Use virtual crayon physics then draw dot , very fun andevolve intelligence for kid and improve intelligent for adult too.Where you play around ball bounce with gravity, bouncing physicsrealistic. - Top of all free games is make just for you. - You candraw anythings on screen to make shape, dot, lines or emoji if youwant. It’s funny , right? LOL - It’s challenge for sure, you mustcollect enough stars to jump to new level page like dots collectionto unlock level. Have dozens of iq testing and brain wars , mindtesting levels challenging you. - New level will available everymonth. - This balls connect game have tons of balls, you can usecoin earning every round to buy new ball and use in game challenge- Games for free every one. SIMPLE, CHALLENGING THINKING GAME +Connect two balls. + Drop the ball into the bucket. + Make the balltouch something. EDUCATION FREE GAMES STYLE - It’s very goodeducation game for kid about physics, gravity, object moving… - Andimportant, it’s free game with less of ads. - Where you can drawing, love with balls. - Top free games of puzzle physics balls withmost popular hot games style draw line connect two balls. BRAINPHYSICS IT ON PUZZLE STYLE - It force you to think and solve thechallenge in many way, funny and addictive thinking game ever made.- You can draw any shape, circle to solve the mission withoutlimit. All of your choose. - Brain Physics it on your creativeability, with crayon physics pencil. - This game mechanic is topfree games puzzle, let's try it by yourself and enjoy you braintraining challenge. - If you love of ball, we have ton of balls foryou to collection. If you like it please vote 5 star , I will veryappreciated. If you have any question , feel free to email me.Thanks! Never Limit Your Creative! Challenge yourself with our mindgame! Start your adventure to world of Brainy Rush now! Machinery is a physics game where there is no single solution forpassing the level. In any level you are invited to find your uniquesolution. If You like classical logic games here is one you werelooking for. In this physical puzzle there are only two basicshapes, a rectangle and a circle. But the possibility of scaling,rotating and combining them together makes it possible to createany mechanism or apparatus. 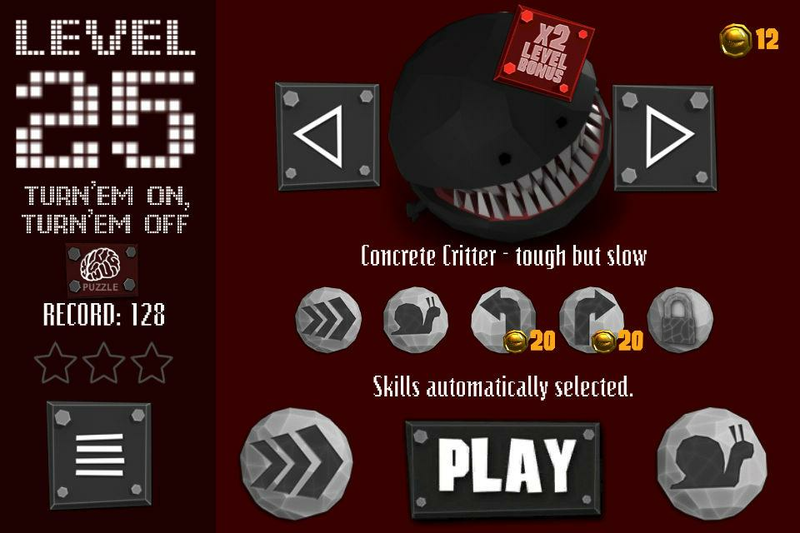 The early levels will teach you how toplay the game and go through some basic concepts. If you need a caror some machine to solve a level you can build it! Just use youbrain! :) Hinges or motors are used to connect shapes. The game isdesigned in a 2D world and have accurate and realistic physics.Zoom in and out by pinching the screen and pan the view using a twofinger drag. The game also has a "Sandbox" and "Level Editor". It'stime to remember the laws of classical mechanics! Check your brainfor creativity and ingenuity! 8 Ball Bubble is a fun puzzle game featuring some cool originalgraphics, colorful pool balls and hundreds of awesome levels filledwith adventure and challenge. Play now for free, pop all thebubbles and collect the pool 8-balls to win! Keep popping bubblesuntil you clear the board and move on to the next fun level. HOW TOPLAY · Tap on the screen to drag the laser aim and lift it to smashbubbles on the pool table. · Match at least 3 bubbles of the samecolor to burst the combination and win. · Collect the 8-balls byshooting the bubbles that trap them! · Complete the missions andbeat the challenges. · Win points and reach high scores. GameFeatures · Hundreds of thrilling levels to explore. · Powerfulboosters that will help you clear levels. · Smooth and addictingbilliard gaming experience. · Easy and fun to play, but can be hardto master. · Completely FREE to play! Experience this thrillingpool puzzle game today, shoot and blast all the colorful balls andwin levels! Collect the 8-balls, solve the puzzles and advancealong the bubble-pool map! All rights of Bubble Shooter™ are ownedby Ilyon Dynamics Ltd. This is bubble shooter game contains both Puzzle Mode and ArcadeMode. Make combinations of 3 or more bubbles to make them burst.Clear all the bubbles to level up. Game Features: 1. Puzzle Mode -More than 1000 fun level. 2. Arcade Mode - The bubbles will go downgradually so you need shoot quickly to avoid death. Hope you likethis bubble shooter funny game. * Zumbi Game is a brand new and amazing puzzle game! * We noticethat this game had the classic Marble Games but easily addictive. ★Zumbi Game! Classic comes back! Fantastic designed puzzle game! Oneof the most classic and most fun game!Clear all the marbles beforethey are absorbed by the mysterious cave. Stunning special effectsand soundtracks lots of addictive and challenging levels withwell-designed maps Easy to play, hard to master Freeze stone, Bombsand many interesting props waiting for your exploration Gorgeousanimation effects Carefully designed map Innovative and interestingpoints Add rich elements: A variety of special balls, brilliant andpowerful effects New skills to upgrade the system, add more fun Avariety of props, you can challenge higher scores, make combos tocreate chain reactions and earn higher scores.☆☆ Features ☆☆:-ICING BLOCKERS: New! They can be destroyed only after the ice isremoved. - INTERESTING MAPS: more well designed maps with more tocome in the future. - SIMPLE CONTROL: tap to shoot, match 3 of thesame color to clear and release a big boom!- POWER-UPS: a varietyof power-ups with gorgeous visual effects. - LEVELS: Challengelevels to revenge your talen!☆☆☆ How to play ☆☆☆- Control frogshooting to match three or more marble colored balls - as much aspossible.- Tap on the transmitter can swapping the current ball andthe next ball.- Boost your score with power-ups and combos. *Complete all the levels in challenge mode, and try to get threestars in each level. Now, practice your game skills in this ZumbiGame!